With the winter season right around the corner, there's no better time to hit refresh on your winter beauty routine with these gorgeous hydrating beauty oils and elixirs that also double as the perfect holiday gift for the beauty lover on your list. Wrap up this winter with these floral inspired oils that are sure to keep you feeling bright and cozy! Prada's 2018 Resort runway has the perfect answer to your spring refresh beauty look. With a deep rose lip and fresh, almost bare lashes, this is the summer ready beauty look you've been waiting for. Carry it into balmy summer nights with beachy waves, cool poolside ballerina knots or a variety of post workout plaits. You'll have this statement making beauty look on repeat well into the final days of summer. Here, our favourite go-to beauty products to inspire your look! A multitasking beauty balm is a staple as part of our beauty routine. Full of restorative and balancing nutrients and ingredients that provide soothing benefits, hydrating properties that provide the perfect healing glow and minimal go-to that will take you from backstage fashion week to your weekly ballet class or fitness session, heal cracked heels and dry lips, hydrate dry cuticles and elbows, dab onto eyelids, brows, cheekbones and cupid's bow to give you the perfect in-flight beauty look or off duty glow. Try one of our faves with natural and organic ingredients that will keep you toxin free and give you healthy skin on-the-go. We love a great floral-based beauty product and with the extract of 350 rose petals in each pot that deeply soothes and moisturizes, this Rose Balm by Aerin is the perfect take anywhere, do anything go-to beauty balm for your beauty bag. Sip on the smooth air and kick it in the sand with 6 natural and organic beach wave sprays perfect for your summer getaway, poolside sun days or ocean dips by the beach. Try this detangling leave-in styling spray pre sun and post swim to enhance shine and smooth strands with UV/UB protection free of silicone and enriched with hydrating plant extracts, style even the most difficult hair for managebility and nourishing properties. Whether your spending the day in the sand or exploring the current seaside market, this beach to street mist will give you the perfect tousled waves from wet to dry styles with lavender and sage perfect for hair to skin for textured waves and hydrated refreshment to your skin. 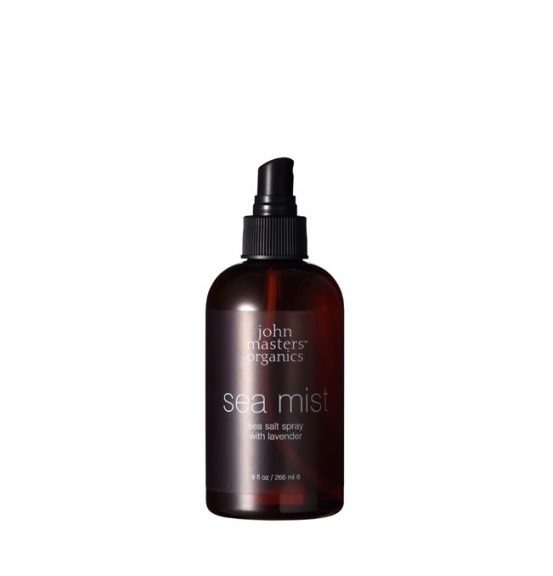 Get spent the day at the beach hair in the city with this color safe natural sea salt mist to give hair body while protecting strands from drying with organic lavender in travel and full size formats. Soft textured waves are a mist away with this natural pink Himalayan salt infused spray to smooth and calm hair while organic argan oil hydrates tousled waves with nourishing strength and shine for work to beach styles. Perfect beach waves are just the start with this hydrating mist perfect when sprayed in dry hair, style your hair into a topknot overnight and wake up to beach ready hair that does double duty to hydrate skin. Spray liberally day to night. Add texture and volume in a lightweight formula, with UVA/UVB protection to fight sun and ocean damage with a tropical inspired mango coconut scent. This summer hair treatment helps protect against drying and breakage. Sun season is here! With travel days full of airports, museums, el fresco dining, beach side stays, these natural beauty travel faves are a must no matter where your summer adventures take you. Whether your walking the Champs d'Elysse, taking in the Santorini views or exploring Panama City, our beauty essentials will take you from beach to street throughout your summer travels. Wipe the day and make up from your face or refresh on the go while giving back to the Polar bear race. Always us a toxin free nail color for healthy glowing beach ready nails. Travel status or breaking in new shoes usually means lots of walking beach side, museum tours, exploring and between airport gates. 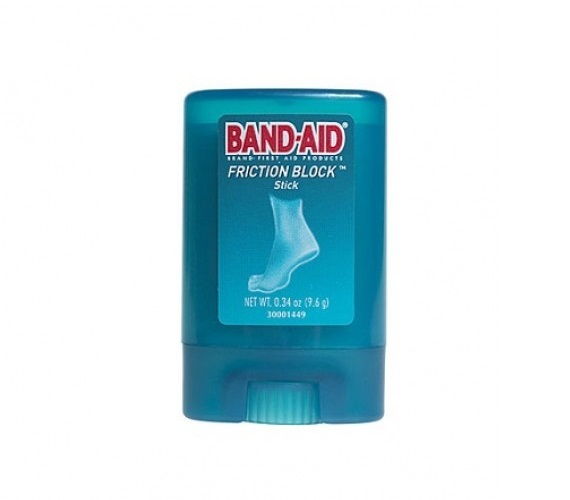 Band aid friction block helps protect against blisters especially in new shoes and decidedly while walking the city of your next destination and the perfect excuse to break in those new shoes. Travel worthy bath products in the signature Le Labo fragrances are delicately scented with a distinctive scent and are the perfect packable travel size. Perfect beach side boho waves are a sea salt lavender spray away with this Lavender scented mist. 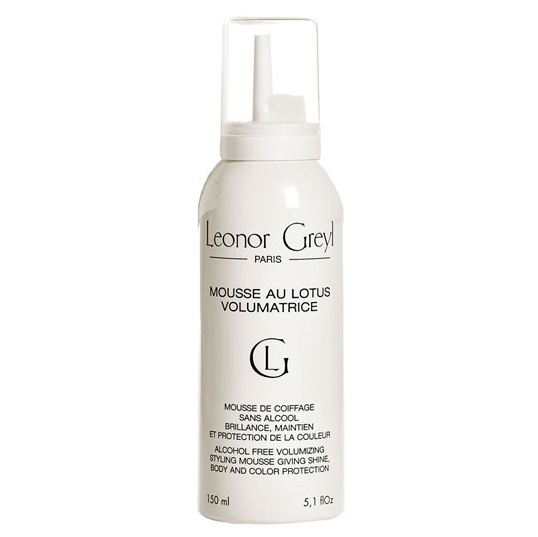 Wet look ponys, buns and sleeked back hair are the perfect day to night look with volume mousse. 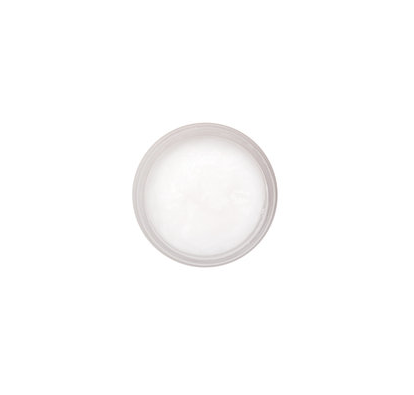 RMS Beauty raw coconut cream will remove even the most stubborn waterproof mascara and the perfect cuticle treatment by the pool. 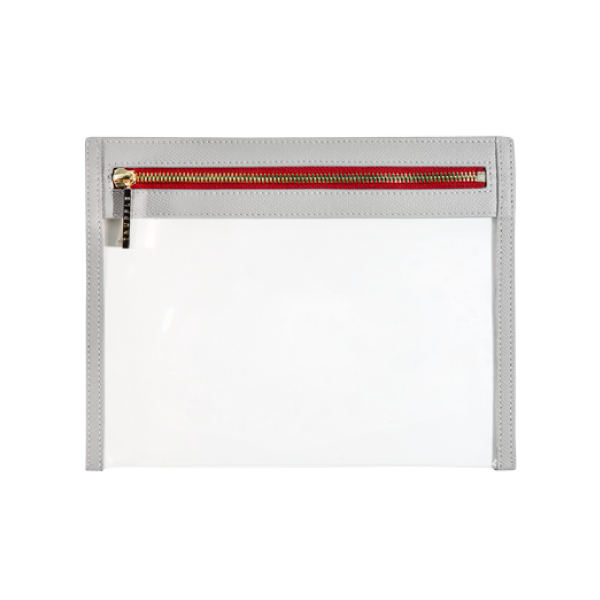 Keep it all together in a clear easy to carry Oprah approved pouch to make finding your beach beauty faves a cinch. Comb through sea knoted strands into sleek tamed styles with a chic travel worthy comb. Never travel without the do everything multitasking beauty oil from moisturizer to pre-shampoo hair treatments and quick air bound foot spa ( a quick slip into cashmere socks on the plane ought to restore the wariest of feet) your beach beauty routine will thank you. Quick travel makeup includes the perfectly undone makeup look with a quick dab of moisturizer and swipe of this illuminating powder for a day to night look made for exploring museums and el fresco dining. Take your beach hair out for a night out while repairing hair ends and not to mention a decadent light scent your hair will thank you for. After tasting every sharing plate, selected desserts and wine pairings this BPA-free silicon toothbrush with a USB chargable cord will be the perfect travel companion for the foodie inspired traveler. Give your travel beauty look a break with this infused rose water weekend beauty treatment to renew and hydrate travel weary skin for a luminous glow. Sheer daily moisturizer is the perfect base for your travel beauty look or beach side hydration. Take this multitasking beauty balm on the go to hydrate lips, deepen brows or repair dry skin. Add a light travel worthy scent to your makeup bag in a cool easy to travel refillable case that is also sustainable and gentle on the environment. 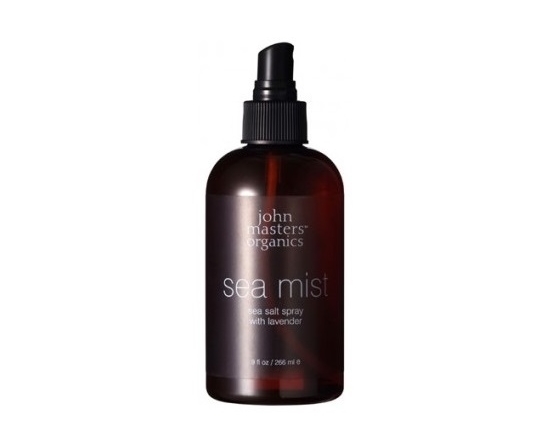 Keep your face hydrated from airplane to beach days with this facial mist perfect for refreshing during your travel days. 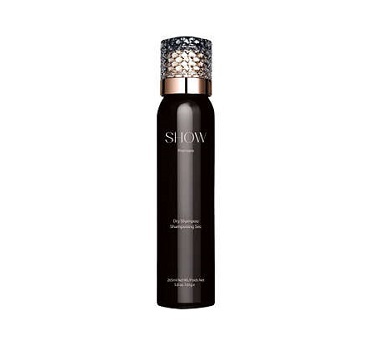 Give your next day hair the beauty treatment with Show Beauty dry shampoo that absorbs oil and adds volume. Natural beauty means your toothpaste too! 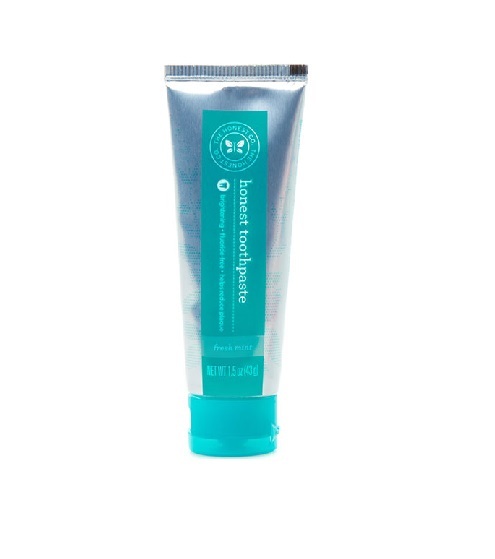 Mouth cleansing natural toothpaste that promotes healthy gums and teeth in a fresh mint flavor. Easily remove nail polish from 10 nails for a quick change nail sesh with these multitasking individual wipes, perfect for your travel bag. 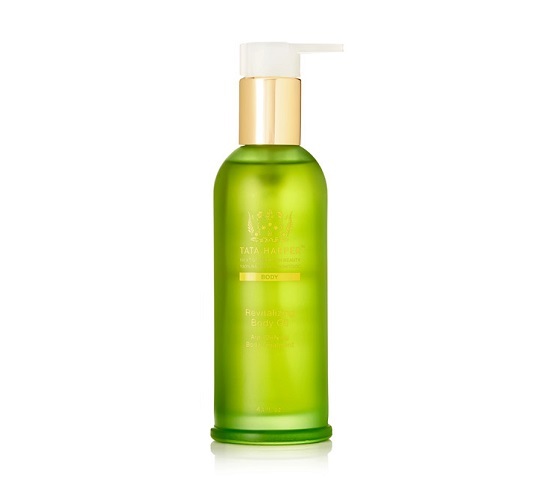 Deep cleanse, exfoliate and soften sun-kissed skin with this Vogue approved travel cleanser. Protect skin with this recyclable, cruelty-free organic sunscreen in unscented and scented varieties to take in the sun without harmful UV rays while you hydrate, repair and nourish skin. Stay fresh throughout your travels with this bright fresh scent deodorant. French girl beauty is about working with what you have and not being more than who you are. A bare face and bold lip is the perfect french girl je ne sais quoi. Along with the perfect skin care routine, try this easy beauty look to bring out all your best effortlessly. French girls are known for their love of minimal makeup, the perfect hair cut and everything in moderation. Start with a clean face and moisturize face and neck with a moisturizer containing an SPF. Strong eyebrows and bare lashes are a French girl signature. Dab brows with a balm to enhance their look without over-powering your face. Use a multitasking balm and add highlight to your face with a sheer loose powder like Chanel Les Beiges to the cupid's bow at the top of your lip and to highlight cheeks. A French girl know a red lip is a beauty must. Bright for day to deep rouge matte for night. A bare face and bold lip is the perfect touch to the French girl beauty look and sometimes using your finger is just the thing. Brigitte Bardot always knew her way around the perfect sun accessories and especially a good hat. Inspired by one of our favorite 60's actresses, along with Parisian jaunts, summers spent in the south of France, vintage summer wines, dining el fresco, endless days by the beach or boating around the Mediterranean sea, we're start off the summer months ahead sure to be full of with long days, sun travel, farmers markets, boating trips, rustic picnics and cool boho fashion by sharing our summer hat inspiration for our summer travel scapes. Meant to be worn with everything lace, white, crochet, wet-look single side braid and untouched beaches for quiet days on a boat to Tulum vacation, your summer uniform will thank you. 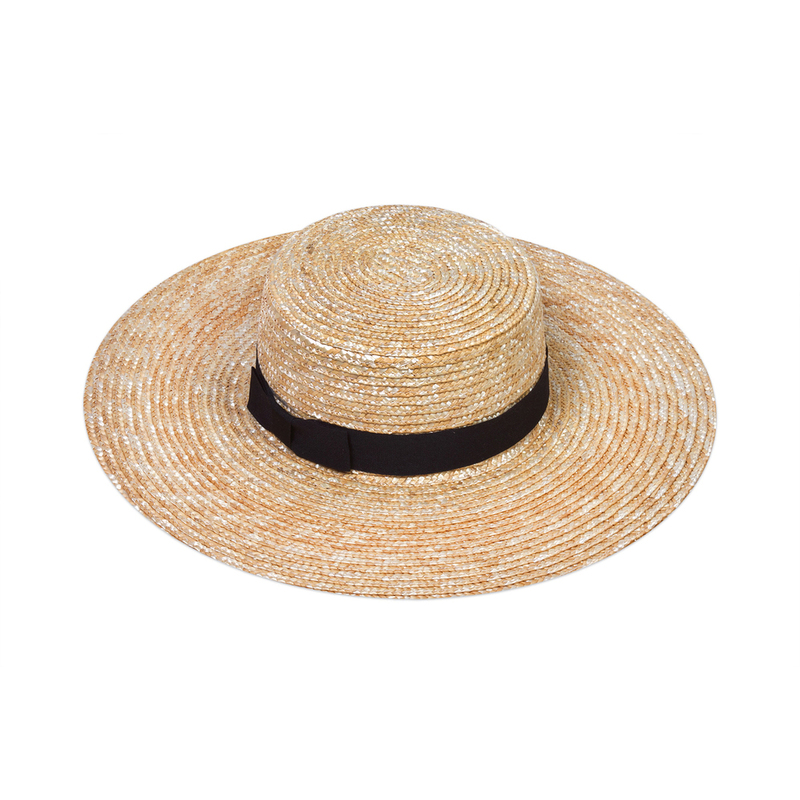 Wear this hat on your way to your next sun travel destination with playsuits, J.Crew sandals and the perfect duffle packed for your endless summer travel. Take this hat on your summer exploration for of the perfect fresh picks from the farmer's market preferably while on your way to your next rustic beach side picnic. Wear this hat while indulging in a good read of your favorite memoir, sipping fresh coconut water and lounging poolside. Wear this hat on your pursuit of the perfect island to find your sun spot, especially while jaunting around sun isles on a catamaran. The 2015 runways have been full of boho styling and 70s influences including great boho hair. From Lanvin's inspired single Brigitte Bardot braid to Chloe's Peggy Lipton straight middle part styles, these are our favorite off the runway boho looks to try and perfect for the summer months. Simple, elegant and perfect for summer months, the Brigitte Bardot single braid on the Lanvin runway was Julien d'Ys inspired hair styling. Tie the end with a leather string or ribbon to add a chic twist to your style. Antonina Petkovic rocked the 2015 fall fashion runway with fringe bang styling that are a great transition into summer. Try this distinct look reminiscent of Jane Birkin, in a natural wave or straight style. Be sure to keep bangs off your face when applying moisturizer to your face until it is fully absorbed. Balmain girls hit the Spring 2015 runway with chic wet-look slicked back hair that is the perfect way to style locks straight out of the water. For more gentle Grace Kelly inspired styles, keep hair pulled back and let air dry. Celine's half-up styles came down the runway accented with gold barrettes perfect for emanating Audrey Hepburn's graceful styles. Chanel's modern interpretation of a bandanna was the perfect brunching accessory at Brasserie Gabrielle on the fall 2015 runway. Style this Brigitte Bardot Parisian-it girl style for days spent exploring beach towns and walking desert summer gardens. The Chloé fall 2015 runway was full of decadent boho styles and sleek middle part hair like Peggy Lipton's 70's straight styles. The perfect beach to street look, style your part with our fave Aerin gold comb we are currently craving. We're going inside 7 natural alternative hair treatments for that perfect mane, whether you have dry split ends, trying to grow your hair long or wanting to add extra moisture to your roots. We found 7 go-to treatments you have to try and for best results, always towel dry hair before using any after wash hair product so hair is damp and not soaking wet to allow any product you use to better absorb into the hair cuticle or apply products to dry hair where noted. Try a hydrating conditioning mask to protect and boost hair repair with a weightless formula designed to leave hair soft and shiny and delicately scented. It will help eliminate split, dry ends and help you grow longer hair as you require less trips for trimming with deeper hydrated ends. For healthy looking next day hair, spray a dry shampoo at roots of unwashed hair when your out of time, after the gym or while travelling to refresh your hair between washes. Give curls a beachy loose look with an all over spray keeping them from clumping together, lift volume at roots, lock in a back comb, prevents bangs from sticking to your forehead, conceal dark roots in blonde hair and add texturing grip to bobby pins. This leave-in treatment softens and nourishes hair while treating dryness and releases soothing hydration to scalp and hair, making hair manageable and revitalized throughout the day. Add rejuvenating shine with a restorative elixir that will boost your hair's luster and shine, for a strengthened, deeply nourished with a lightweight antioxidant and nutrient–rich formula leaves hair fiber renewed, strengthened and deeply nourished. 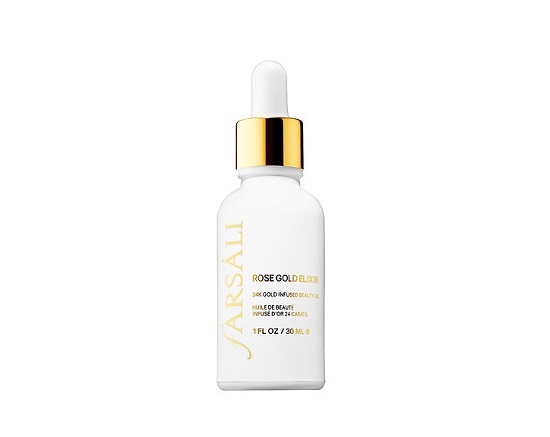 This leave-in serum enhances elasticity and restores a lush, healthy appearance and strength. 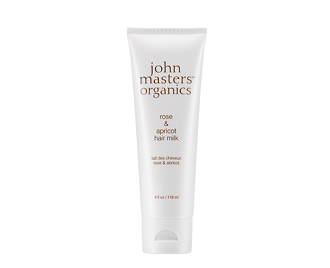 Try it on wet or dry hair and great for smoothing and taming fly-aways. Hot oil hair treatments have long been touted as hair rescue hydrating treatments. 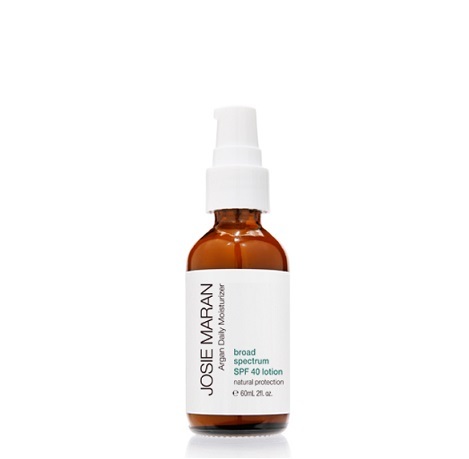 With a gentle formula infused with Argan Oil, it can reverse damage caused by heat and over-styling, leaving hair smoother, shinier, and healthier. In the shower, the oil warms itself up to the ideal temperature for penetrating strands to effectively seal in moisture. The self-heating oil provides a gentle warming sensation as it penetrates deep into the hair cuticle, sealing in moisture and shine. Use weekly or as often as needed. 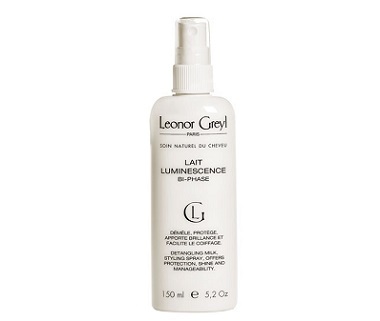 Apply this treatment to dry hair before shampooing or other treatments, we recommend a minimum of 30 minutes before. It will help easily detangle hair, apply it before sun exposure or the beach to protect hair from sun and salt water damage and nourish hair quality, while it beautifies and strengthens hair no matter the season. 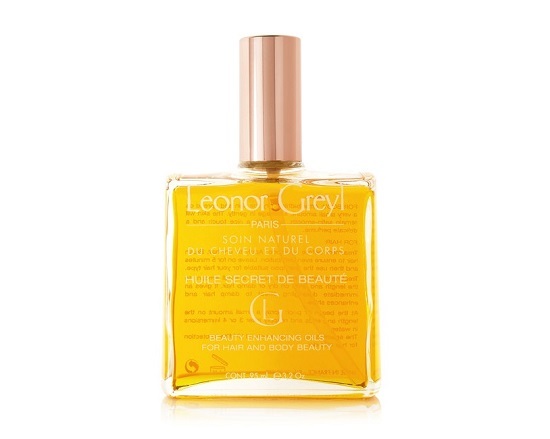 This light-weight oil quickly absorbs, leaving hair silky and shiny. Also try it before coloring your hair. We recommend you color with an organic brand, ask your salon for Organic Color System. With all the decadent scents that flood your looks after a wash or styling, a hair fragrance will give your hair a boost after all those scents have faded from your mane. Try a light indulgent fragrance packed with essential vitamins and minerals that will fight free radicals and color fade while enhancing shine and restoring hair's natural strength and beauty. Winter can really take a tole on your skin. Save it with hydrating beauty oils, creams and balms that will help skin retain moisture and leave your skin feeling soft and smooth through the winter months. 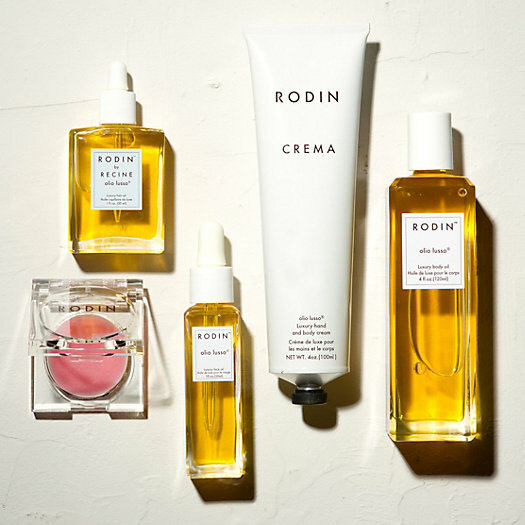 If your looking for a high quality product with a gorgeous scent, try the RODIN olio lusso range of beauty products that leave a delicate scent on your skin and the perfect way to hydrate after a shower or bath and a great way to save cuticles, dry skin or in a beauty mask. A little heavy on the face? Try hydrating with rose water like S. W. Basics Rose Water Toner. For an all over treatment, mix your RODIN beauty oil with an unscented lotion for a deeper hydrating affect (we love a good natural brand like John Masters Organics Bare Unscented Body Lotion) that will keep skin moisturized all through the winter months.